I find it silly sometimes when I find similar or even identical items with such different price tags. This summer, I've seen lots of boldly colored high-waisted shorts, turquoise nails, as well as shimmery and bronze makeup. 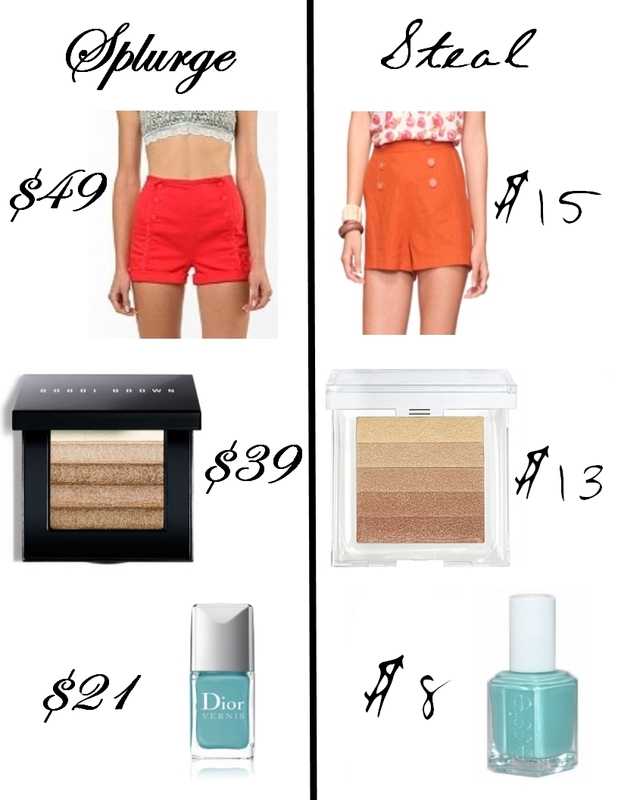 The items below may be different in price, but they are definitely similar in style and look.